We launched our first programme with UK logistics giant Wincanton in 2017. Following the success of W2 Labs 2017, Wincanton is preparing to launch its second collaboration programme in September 2018. 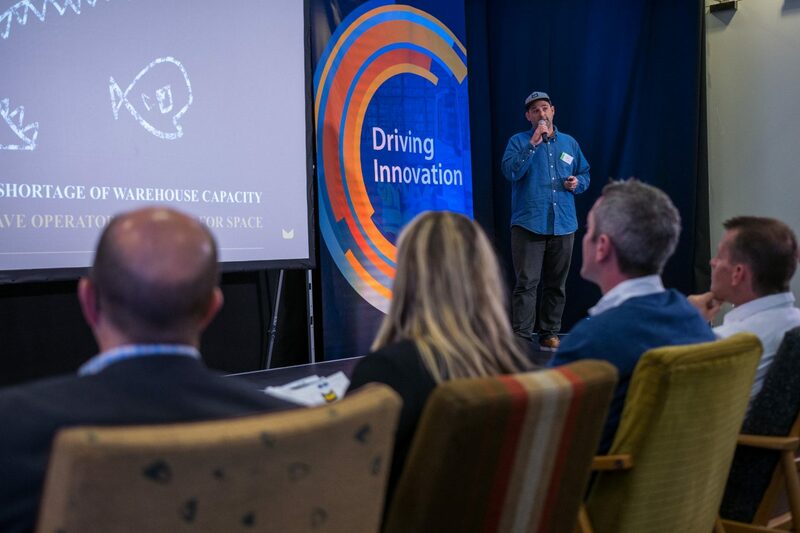 Designed to fast-track disruptive young businesses working in logistics, W2 Labs invited seven startups to join Wincanton’s UK operation for 10 weeks. With the startups’ help, the company was able to develop its new business strategy through digital transformation. In addition to looking to enter into commercial relationships with the startups, Wincanton had put aside capital to invest in the most promising teams. The launch of W2 Labs reached media and startups across the world, with over 90 applications from 20 countries. Synaptiv is a connected car platform which takes data from sensors embedded in commercial and passenger vehicles to deliver real time services using big data analytics. This powerful cloud-based software platform has mobile applications for vehicle tracking, asset tracking, signature capture and remote invoice printing. ZigZag links retailers, warehouses and couriers, allowing e-commerce retailers to better manage international returns. By aggregating self-storage and warehousing options, Storekat enables consumers to easily locate, compare and reserve self-storage space. An online marketplace where shippers and carriers can benefit from unused loading spaces. Street Stream is a Web and app-based courier network offering same day and premium delivery. Since the end of the first collaboration programme, Wincanton has continued to work with the companies that participated in W2 Labs and has publicly announced some partnerships. In July 2018, Wincanton announced a new strategic partnership with ZigZag, a startup offering a comprehensive, end to end returns solution to the retail market. ZigZag’s technology allows retailers to make returns quick and easy for consumers, giving them the ability to grade their returned products, as well as consolidate, refurbish, locally redistribute, recycle, destroy or even resell their stock internationally. “The changing nature of online sales, coupled with new innovations in the marketplace, means that the retail sector is being disrupted at an unprecedented rate. This is putting retailers under huge pressure to improve their customer service levels, especially the way in which they manage returns so that the customer is able to rapidly repurchase alternative goods. “With retail customers not just desiring, but expecting, both free returns and longer returns windows, our technology aims to solve a complex and expensive problem for retailers. The team behind Storekat was one of the standouts from W2 Labs pitch day, presenting an idea which was innovative with strong commercial potential. It was clear from our discussions with them that their proposition was backed by a team with a real understanding of the opportunities available to businesses such as Wincanton. Storekat was conceived by its two co-founders, one with supply chain experience and the other a cloud architect, who found there was no easy way to book commercial storage online. Consequently, their platform is an easy to use online booking system which helps match businesses with space available with businesses looking to rent storage facilities. Storekat ran a successful trial with Wincanton during the 10-week programme to develop a market-leading proposition for brokering free space in Wincanton’s warehouse network as well as yard space and even office space. Following the programme, Storekat secured a commercial contract with Wincanton as well as investment from Wincanton and L Marks.